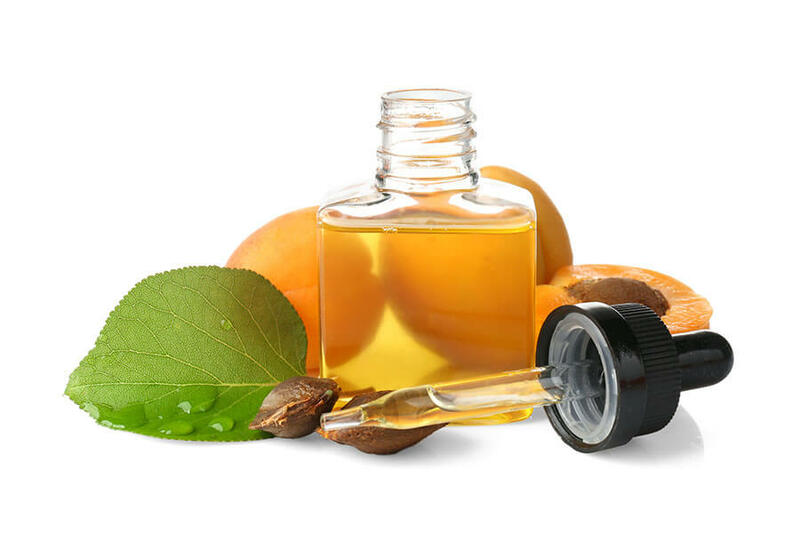 A fast-absorbing, non-greasy emollient, apricot kernel oil is ideal for firming, tightening and toning skin. Packed with vitamins A, C, E and K, as well as unsaturated fatty acids, palmitic acid, palmitoleic acid and stearic acid, this light and easy-to-apply oil is known to reduce dark circles while nourishing and moisturising skin deeply. 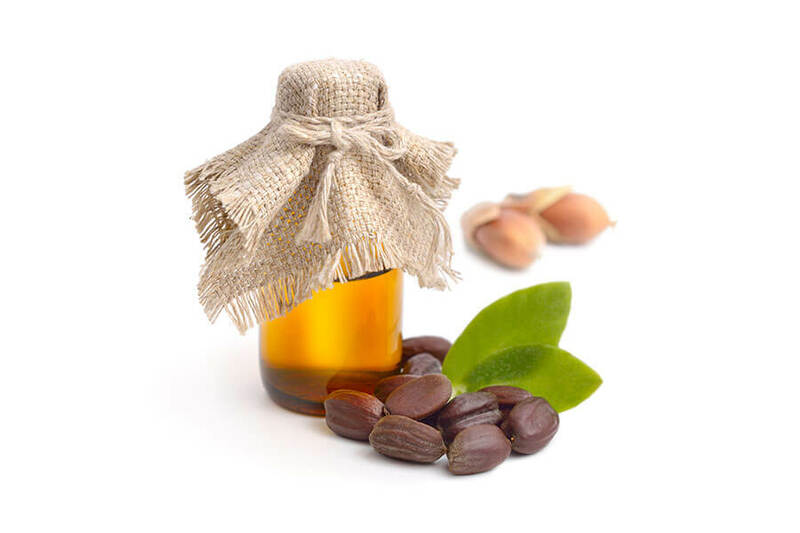 Obtained from the kernels of the Moroccan argan tree, argan oil is a softening, hydrating moisturiser. 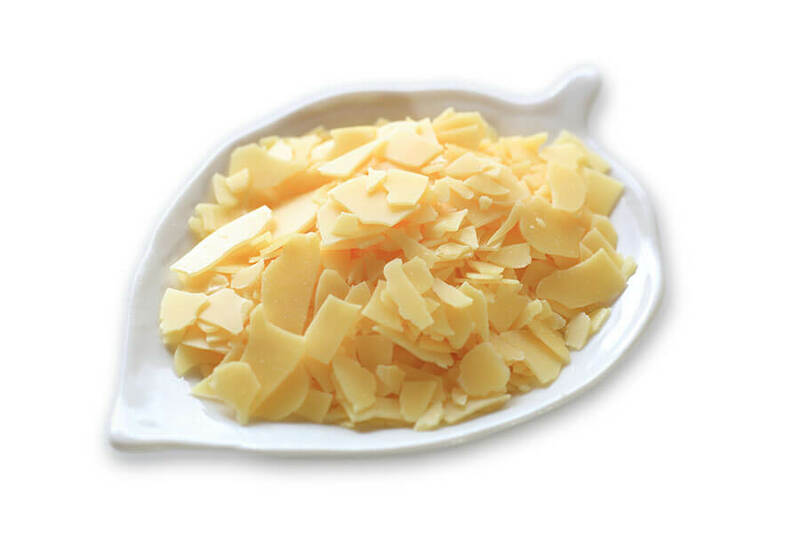 A silky, luxuriously golden extract, rich in vitamin E, fatty acids and antioxidants, it’s perfect for soothing dry or irritated skin – as well as being a naturally antibacterial treatment for nails, hands, hair and all over the body. 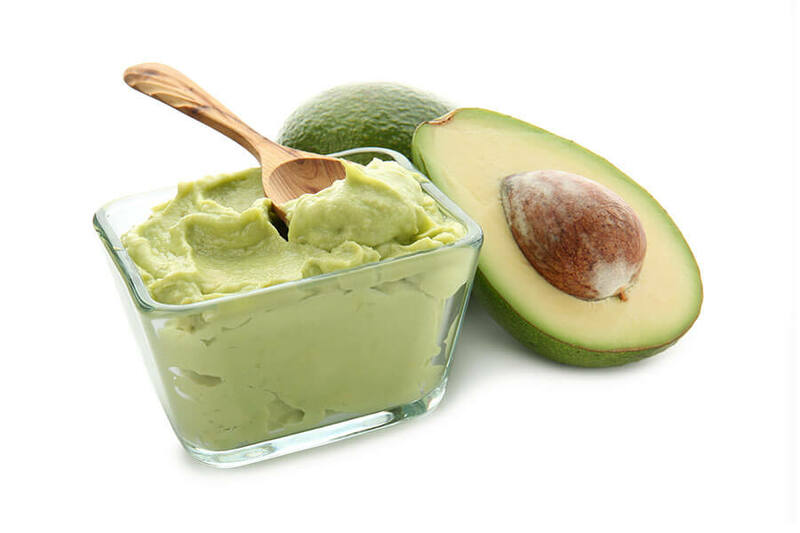 A natural way to bring skin to life, avocado butter is a delicate combination of shea butter, cocoa butter and avocado oil that hydrates and lightens for a vibrant, healthy look. 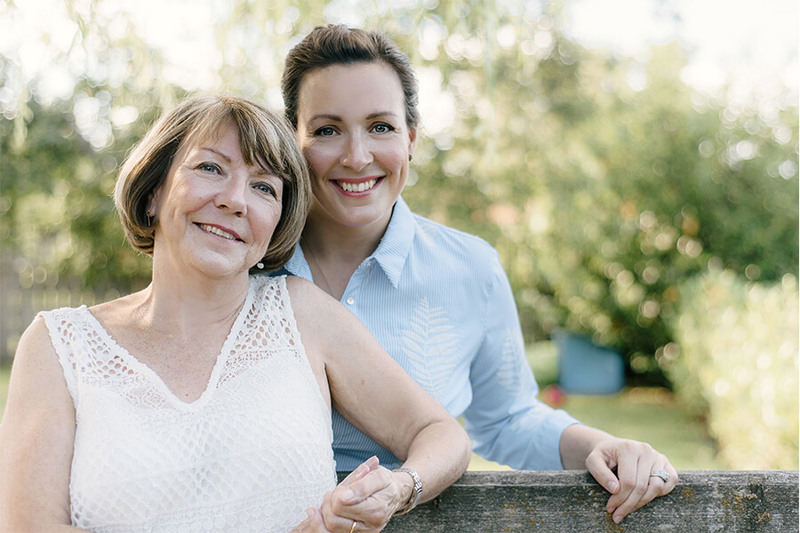 Containing the antioxidant vitamins A, E and D, it targets the free radicals that can age skin, preventing and reducing wrinkles and age spots – and it even acts as a natural sunscreen. 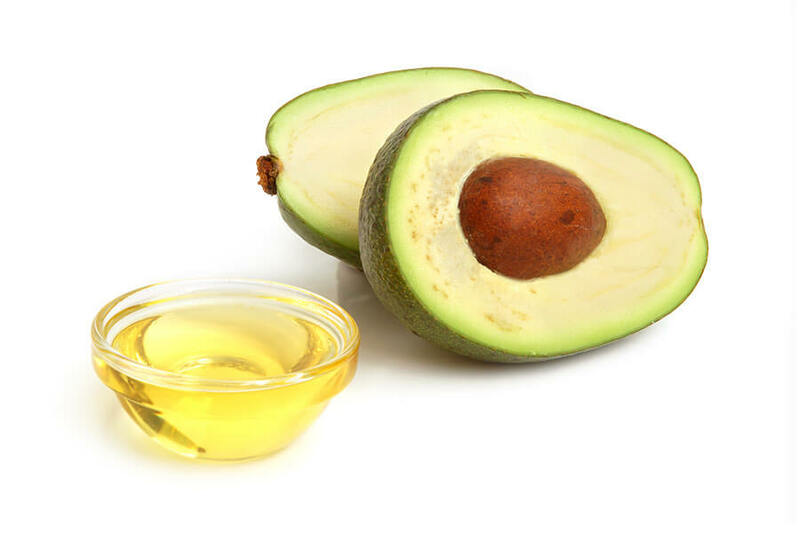 The essence of the famed goodness of the avocado, cold-pressed avocado oil is exceptionally high in monounsaturated fatty acids and vitamin E. Because of this, it has a wide range of health benefits: hydrating, softening and soothing skin, it reduces inflammation, itching and sunburn – and delivers proven anti-ageing properties by penetrating skin cells and fighting free radicals, for visible results. 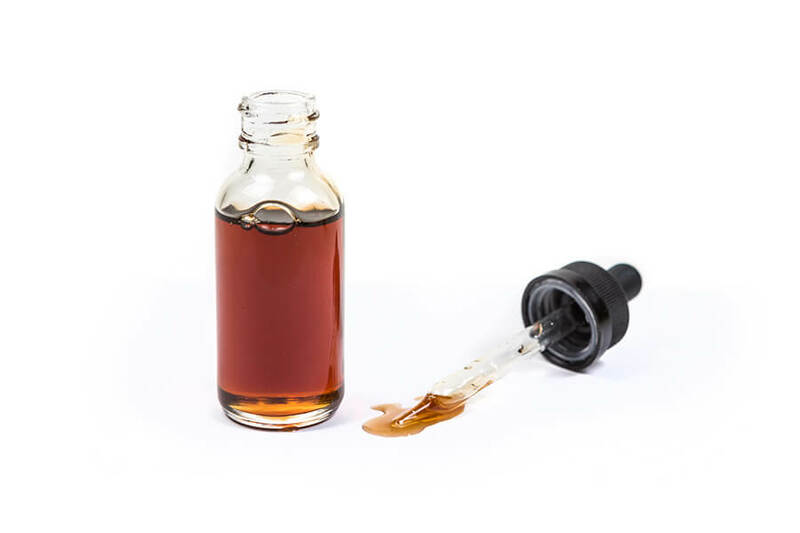 An extract with naturally antibacterial and antiseptic properties, this is the ideal remedy for skin irritation, oiliness and everything from burns and sores to acne, psoriasis and eczema. 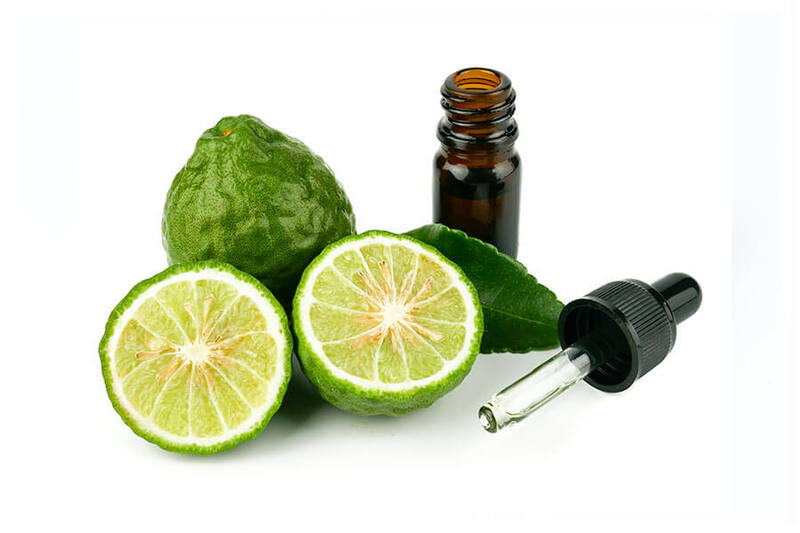 By aiding the uniform distribution of melanin, it helps to fade marks, while it fights bacteria and infection to aid faster healing of wounds – and its relaxing citrus scent can also help relieve stress and insomnia. 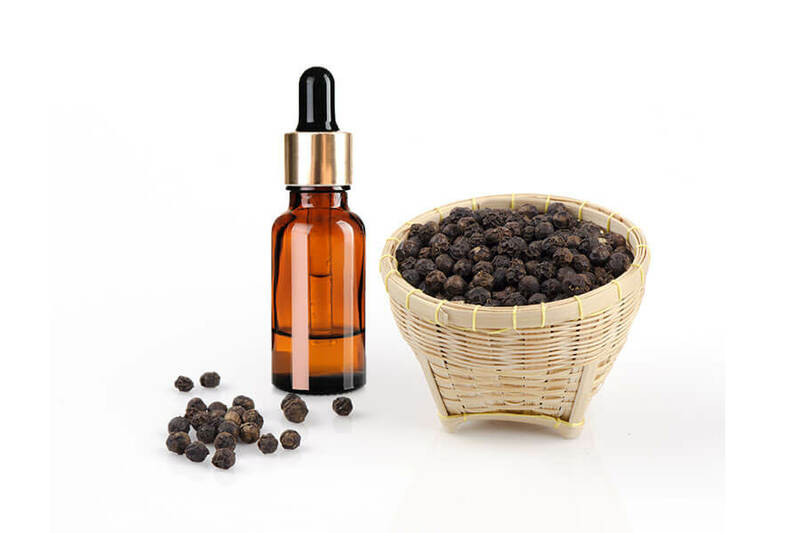 Its high concentration of vitamin C makes the essential oil of black pepper naturally high in antioxidant, antibacterial and antibiotic properties. Steam-distilled from almost-ripe berries, it’s also rich in potassium, magnesium, iron and vitamin K, helping to smooth lines, wrinkles and dark spots – all while invigorating muscles, joints, digestion and the immune system, and stimulating the senses. 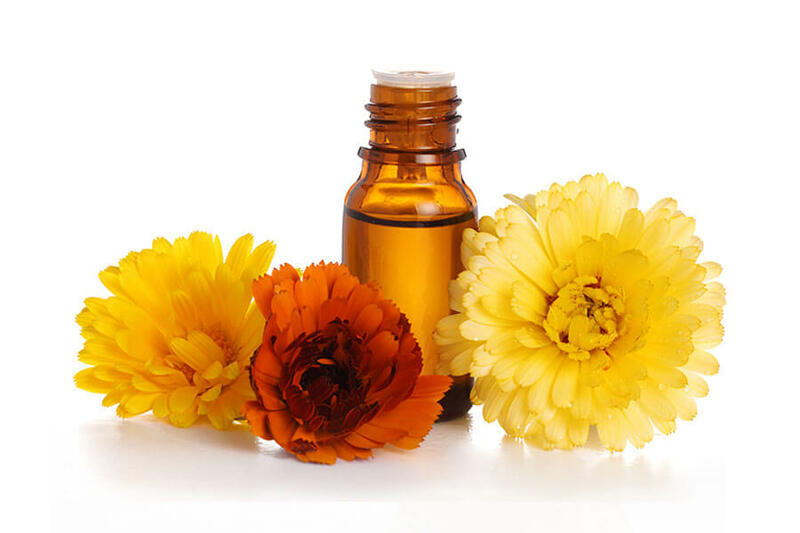 Extracted from the common marigold and used to promote healing and improve the skin, calendula oil is a regenerative, antibacterial and anti-inflammatory remedy for dry or irritated skin. Working deep down to soothe and heal, it moisturises, fades scars and marks, and reduces swelling – giving the skin a healthy, youthful glow. 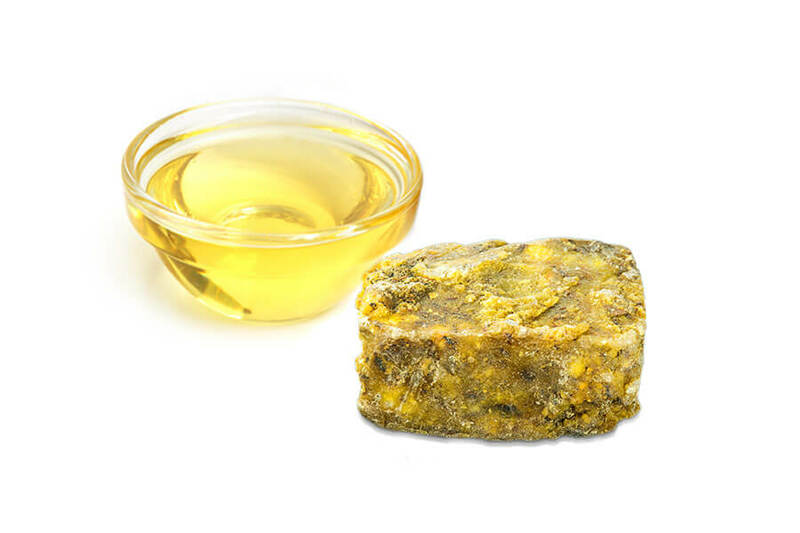 A wax taken from a desert shrub native to Mexico and the US – the name means ‘little candle’ – this is an odourless, vegan-friendly substitute for beeswax. Rich in nutrients and quickly absorbed into hair and skin, it forms a barrier to lock in moisture, while acting as a natural astringent, emulsifier, stabiliser and conditioner. 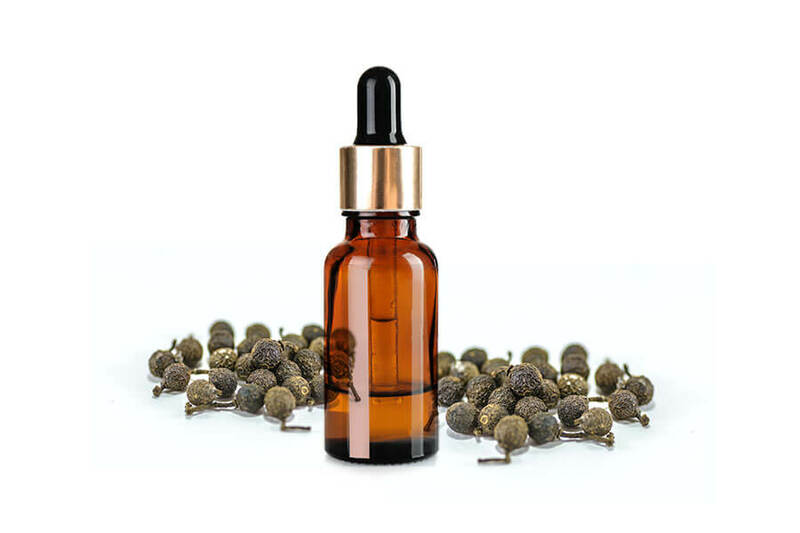 Extracted from the humble carrot seed, this oil has anything but humble properties. Repairing skin damage, toning muscle and tissue, and tightening skin to reduce sagging, its benefits are more than skin deep – being rich in vitamin A, carotene and antioxidants, it also helps reduce inflammation, remove toxins and relieve aches, all while boosting the immune system. 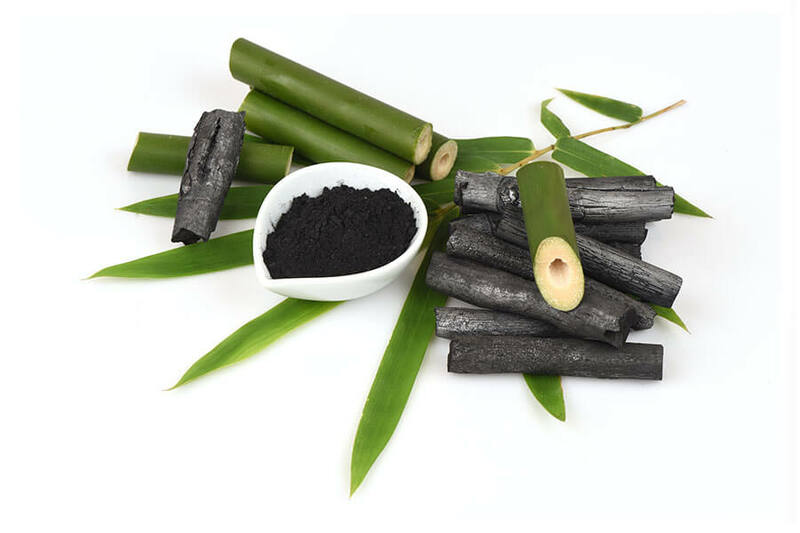 Activated charcoal from the bamboo plant is a key ingredient in the daily battle against skin impurities – binding excess oil, pollutants and dirt, and drawing them out of the skin. Its naturally gritty texture makes it an ideal exfoliant, especially for sensitive skin, while it balances oils and moisture and shrinks the appearance of pores to leave skin looking supple, youthful and vibrant. With a soothing fragrance that can relieve stress and depression, this oil, sustainably sourced from the South of France, can also balance and clarify cosmetically. With anti-inflammatory and antimicrobial properties, it protects the skin while regulating oiliness, toning as an astringent, and cooling irritation – as well as promoting a sense of calm, wellbeing and relaxation. A natural moisturiser packed with antioxidants, this versatile oil has been used to smooth wrinkles and soothe irritation for centuries. 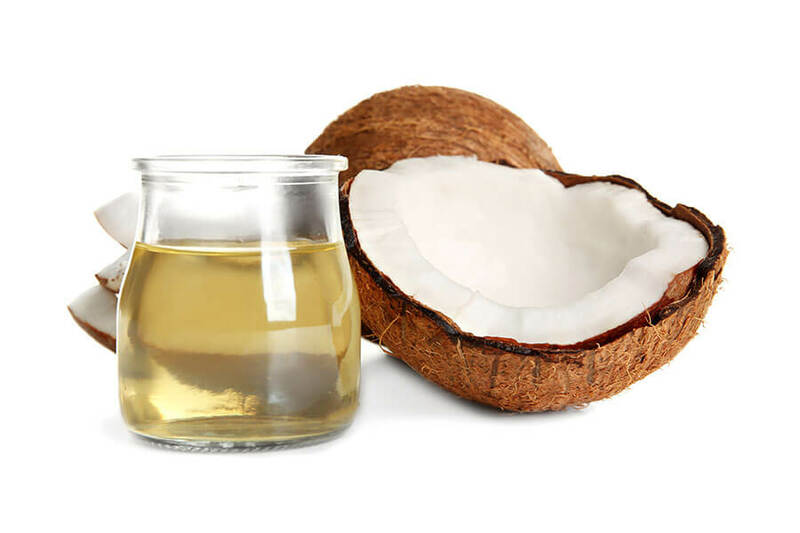 The anti-inflammatory qualities of the oil can aid swift healing and reduce acne, leaving skin smooth and supple, while its richness in essential saturated fatty acids and vitamin E keeps skin nourished. 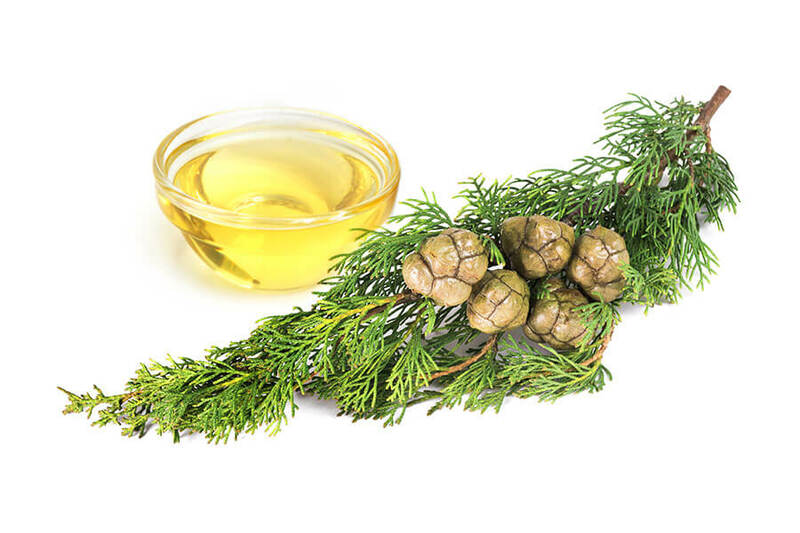 The cypress tree has long been renowned for its medicinal qualities. 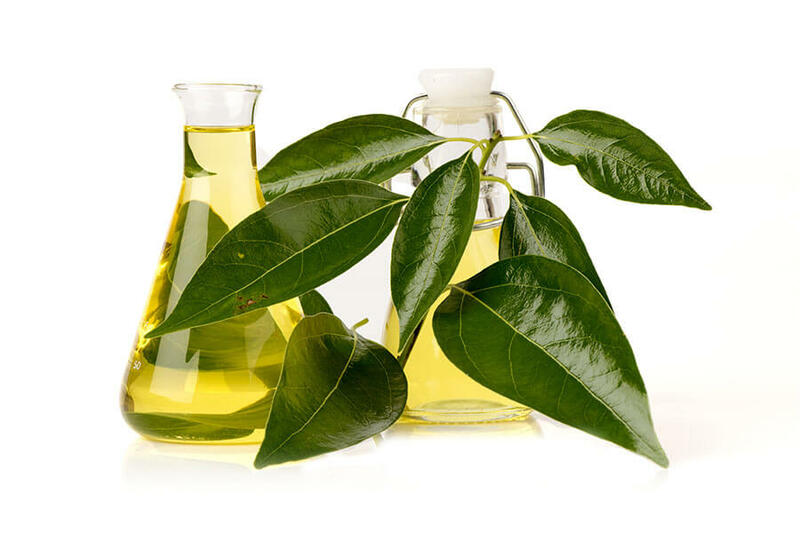 Its oil is an effective diuretic, helping the body remove excess water, salt and toxins, and also promotes circulation – leading to a host of benefits for the skin, from easing varicose veins to reducing cellulite and improving oily, damaged skin, while its energising aroma relieves stress and tension. 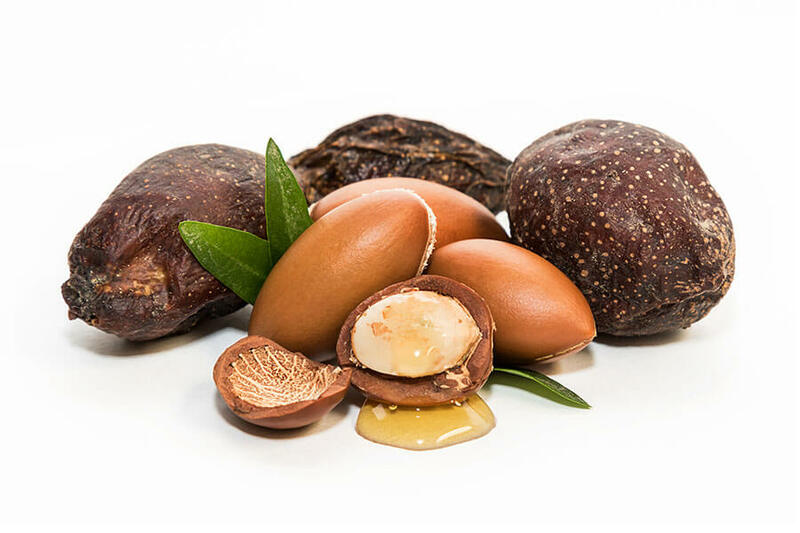 Well regarded as an effective remedy for body and mind, elemi adds lustre and sheen to the skin while toning and tightening it. 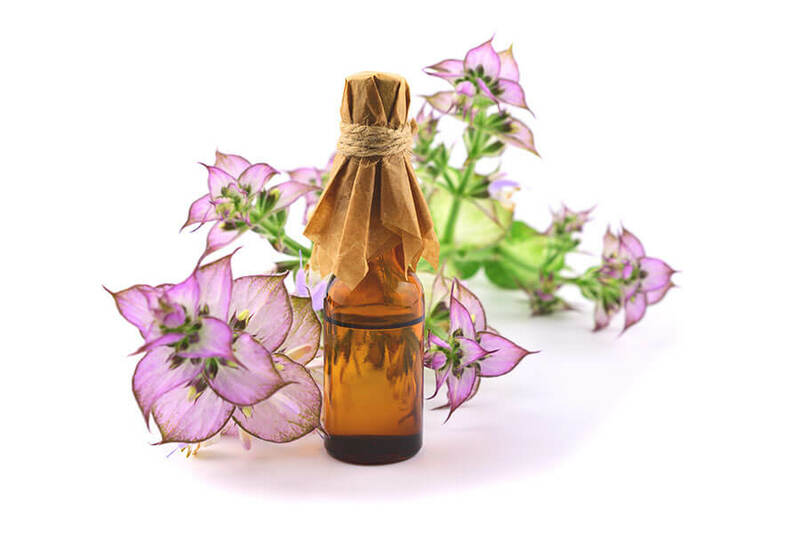 It can also be used to treat skin conditions and ageing skin, promoting new cell growth while protecting through its inherent antimicrobial and antiseptic properties. A reliable antipodean remedy known for its time-honoured healing properties, eucalyptus is a proven first-aid treatment for cuts and insect bites, minor wounds, blisters and bruises. 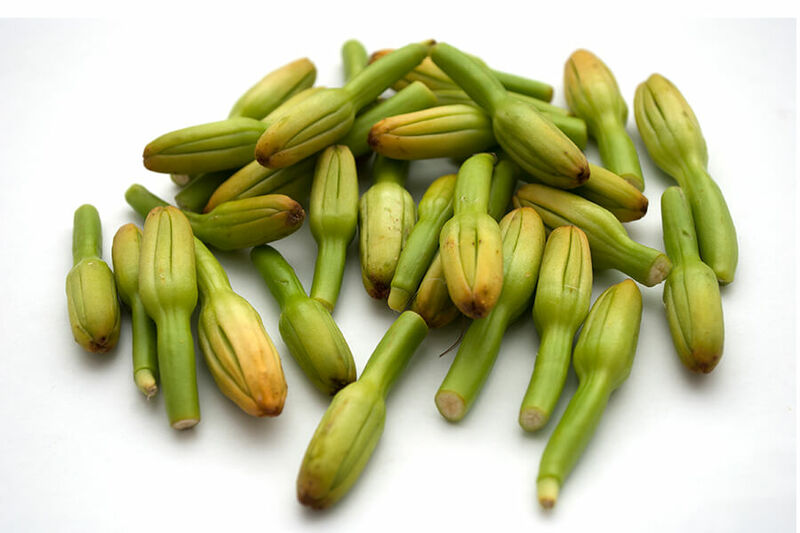 But beyond this, its anti-inflammatory, antispasmodic, decongestant, deodorant and antiseptic properties – not to mention its invigorating and uplifting fragrance – make it a versatile ingredient for everything from massage treatments to aromatherapy. 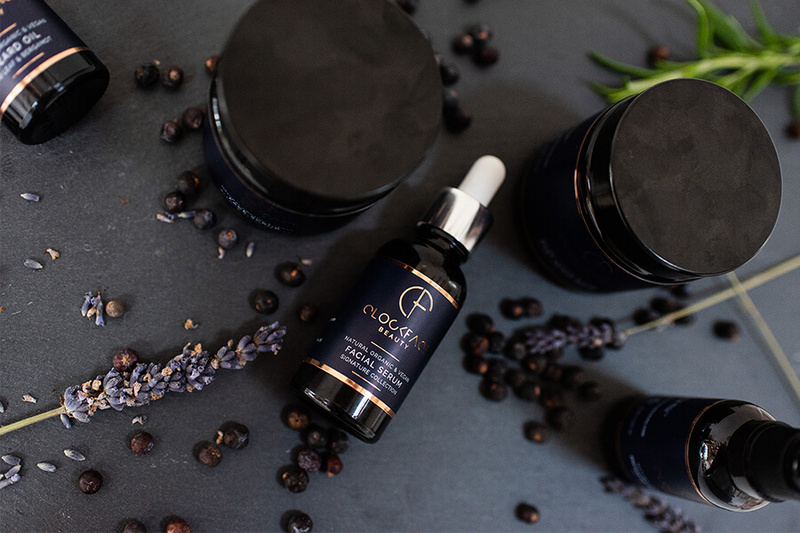 An anti-ageing treatment throughout the ages, frankincense is a powerful astringent proven to protect the skin’s cells – reducing blemishes, shrinking the appearance of pores, and lifting and tightening skin to smooth wrinkles. 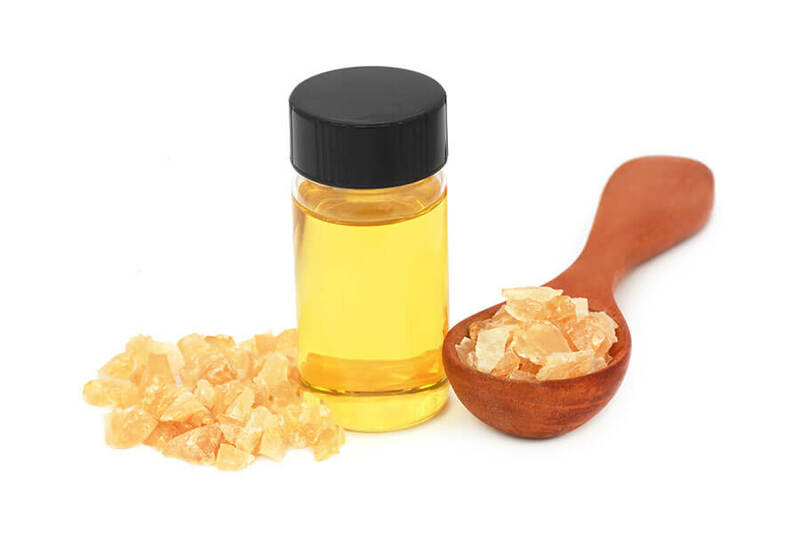 Taken from the Somalian Boswellia neglecta tree, frankincense can soothe irritation, calm the mind and nurture a more even, healthy skin tone. 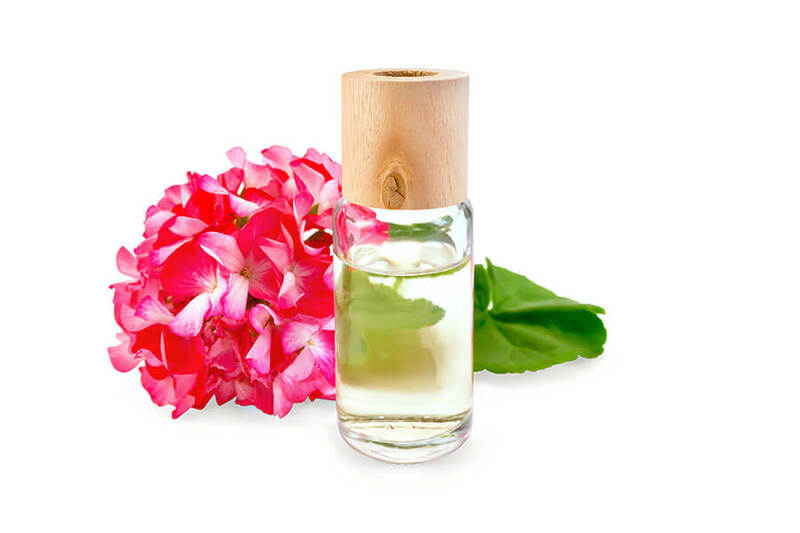 Nontoxic, non-irritant, non-sensitising: this oil is extracted from one of the few species of geranium that convey proven therapeutic benefits. It’s a versatile ingredient, suitable for everything from healing wounds through its antiseptic qualities, to minimising wrinkles and fading scars. A clarifier and cleanser for all skin types, it’s particularly suited to remedying oily skin and encouraging circulation. Most people toss out their grape seeds – but see the value in them. 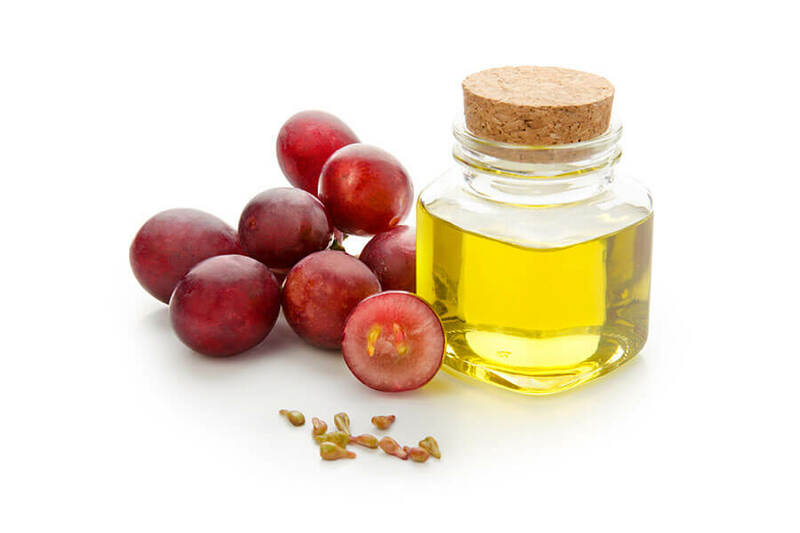 Crammed with antioxidants and natural plant compounds, grapeseed oil can battle free radicals, fighting the signs of ageing, while protecting against sun damage and even possessing anticarcinogenic qualities. Quickly absorbed by the skin, it moisturises, heals and tightens without clogging pores – which must be why it’s so popular in massage treatments. There’s certainly a lot of good in grapeseed. 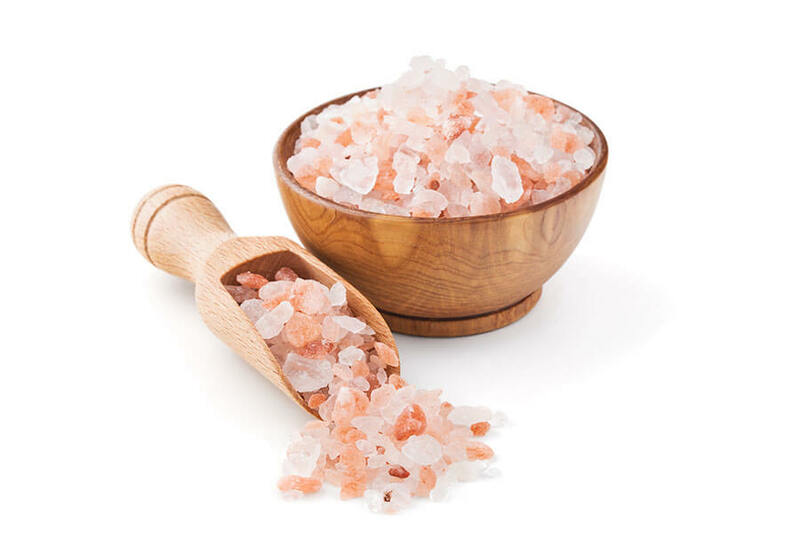 Himalayan pink salt, hand-mined from the Punjab foothills, is world-renowned for detoxification, as it draws out pollutants and impurities from deep within the pores. 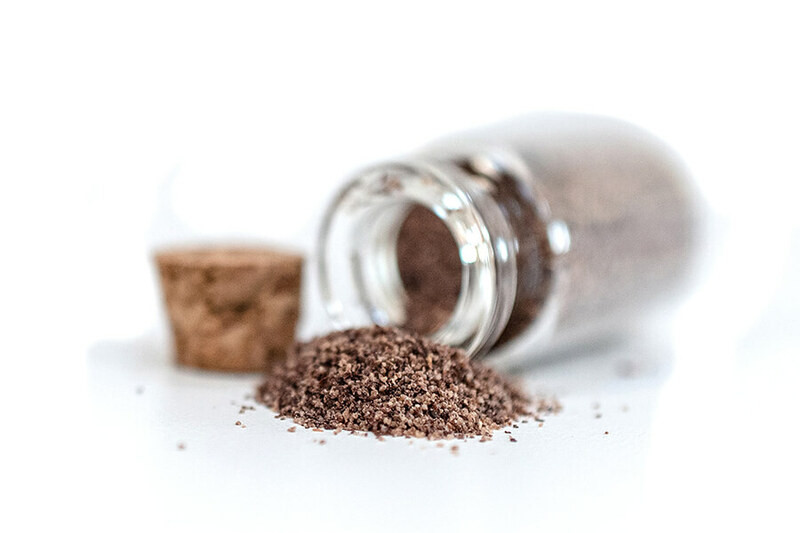 As a scrub, the salt effectively keeps skin silky soft and smooth, removing dead cells and tightening pores, firming up skin while acting as a natural antiseptic. Nothing is added – just the purifying abilities of the purest salt, pure and simple. 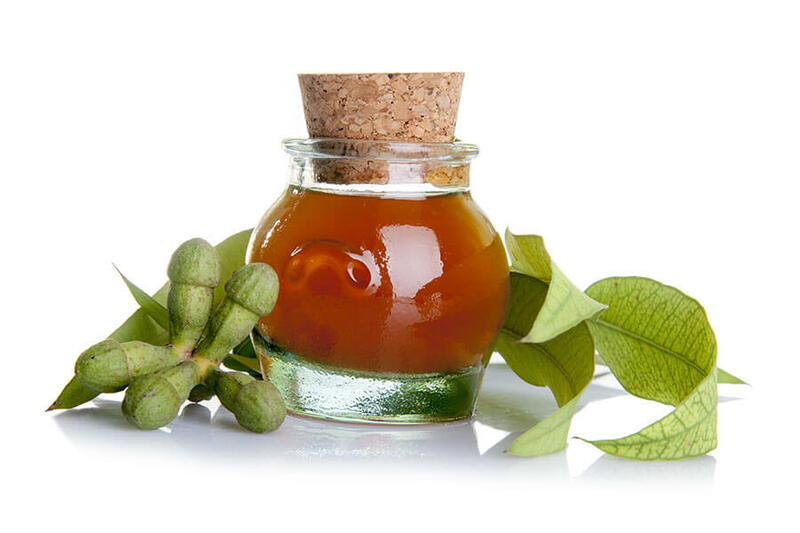 A gentle oil for all skin types, the oil of the Chinese ho leaf nourishes the skin and stimulates regeneration. But just because it’s gentle doesn’t mean it doesn’t perform. 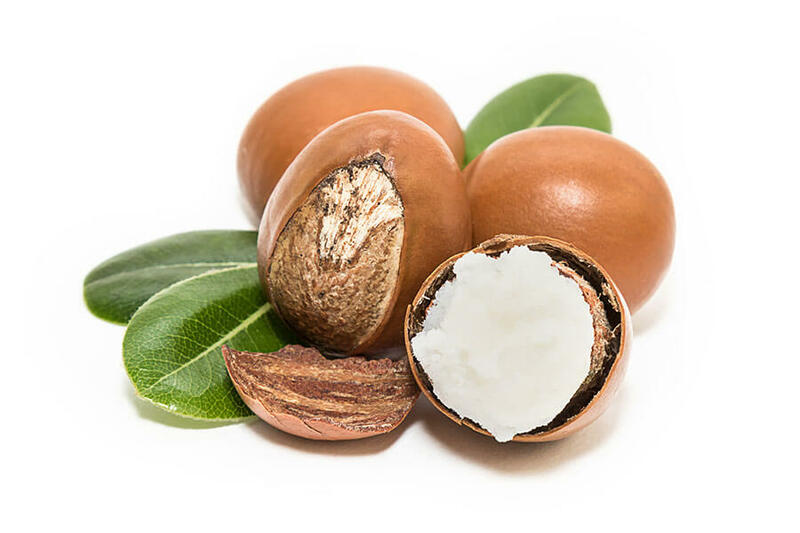 It’s packed with all-natural chemical compounds that stimulate blood flow, clear skin from the inside and even promote wellness through a comforting, camphor-like aroma. Gentle, but powerful – an essential ingredient. Jasmine oil has been associated with skincare for centuries – for good reason. An effective disinfectant, germicide and antiviral agent, it’s a powerful aid to healing in scars and blemishes. And while doing this, it can smooth, moisturise and rejuvenate skin – gently healing and improving, while its stimulating aroma helps invigorate the senses, and relieve stresses and strains. An all-day moisturising and rejuvenating agent from the desert shrub of the Southern US and Mexico, this actually isn’t an oil at all – it’s a wax. A wax with incredible properties: encouraging hair growth, reducing dark circles and inflammation, balancing oil production, adding lustre, and more. Filled with nutrients including vitamin E, it’s both a specialised treatment and an everyday treat, keeping skin and hair vibrant and full of life. 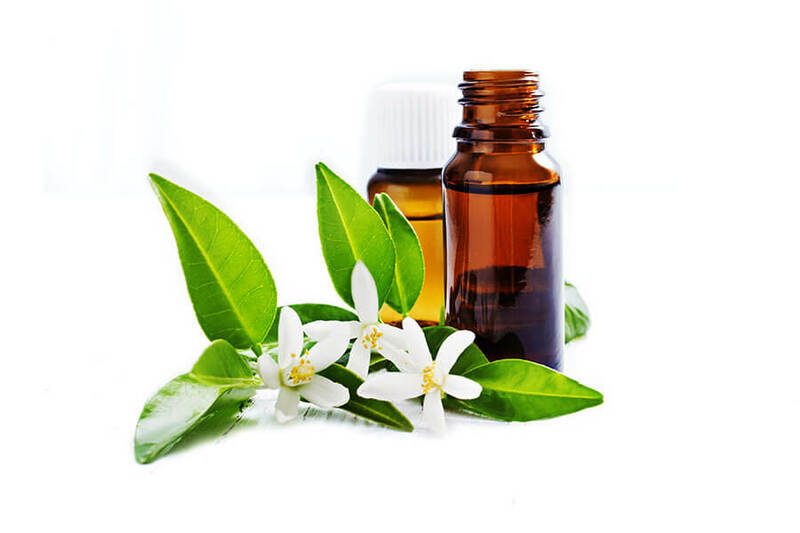 Jojoba oil is the wax extracted from the shrub native to Arizona, California and Mexico; jojoba beads are the hydrogenated form of this. Completely spherical with no sharp edges, they’re a gentle yet effective exfoliant – ones that don’t scratch or irritate. And they’re completely renewable, sustainable and biodegradable too. 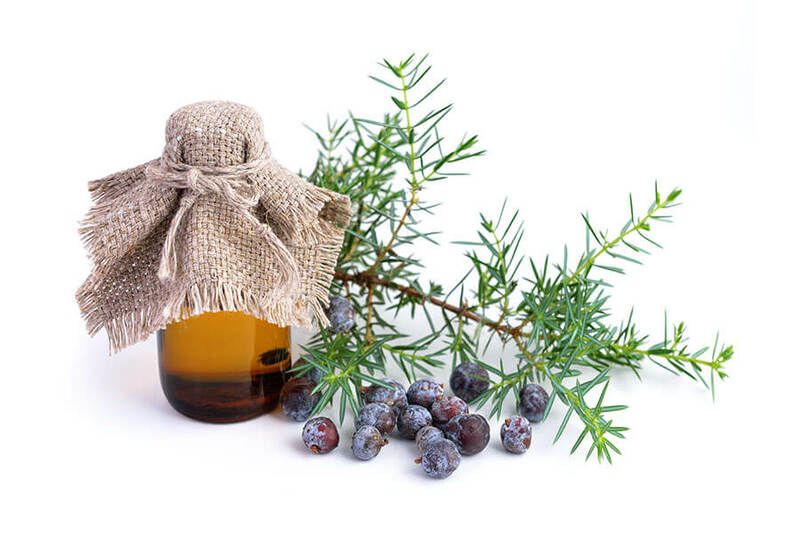 Naturally high in antioxidants, with antibacterial and antimicrobial abilities, juniper berries have been a time-honoured remedy since the Middle Ages. A proven solution for skin irritations, as well as an everyday toner, this oil is a soothing and uplifting ingredient for easing skin and muscle complaints with undeniable heritage. 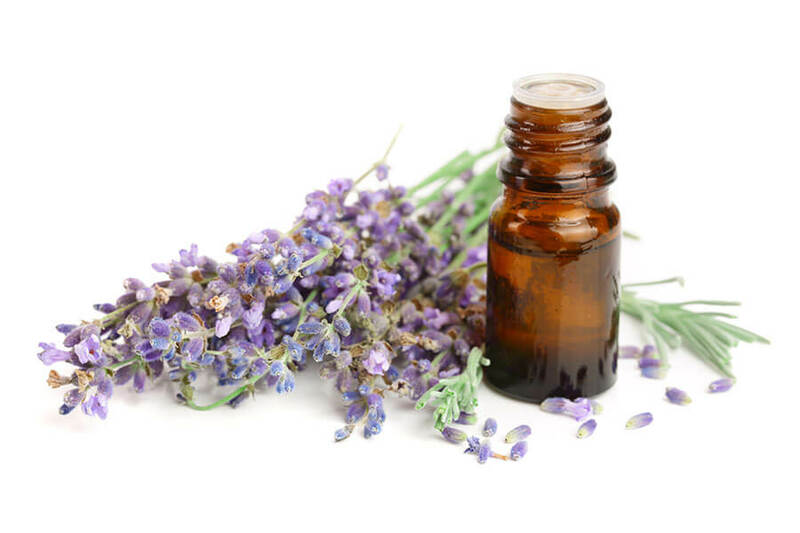 For millennia, with its distinctive, calming fragrance, lavender has been known as an aid to rest, relaxation and healing. 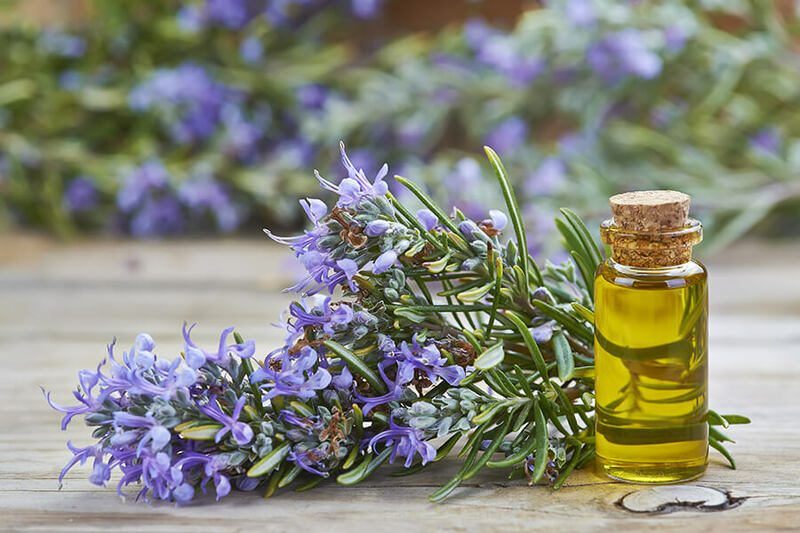 It’s commonly used as a natural antiseptic and antibacterial to soothe minor wounds and burns, including sunburn – but as an easily absorbed, non-clogging oil, it’s extremely versatile, whether for reducing the signs of ageing or relieving stress. That’s as true now as it was in ancient Rome. 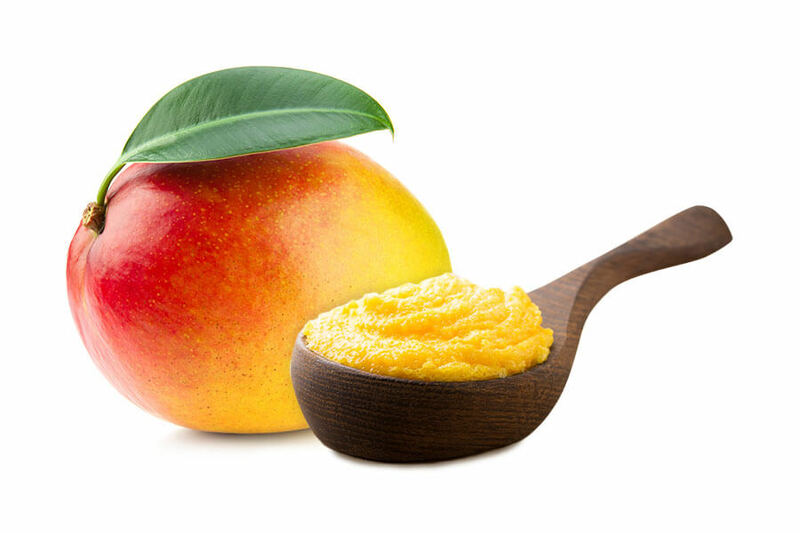 Firm-textured with surprisingly little aroma, mango butter is an emollient that’s perfect for softening, smoothing, moisturising and protecting all skin types. Fittingly, coming from trees that can reach over 300 years old, the butter is effective at fighting signs of ageing, as well as clearing blemishes and relieving itching and irritation. Just as fittingly, coming from the tropics, it also provides an excellent screen against UV. A potent, fortifying presence in any treatment, this oil works as a powerful aid to uplift, revitalise and refresh – as well as lend the skin a radiant, youthful glow. As an antiseptic, antifungal agent and mild astringent, it clears blemishes while treating dry and irritated to oily skin, reviving face and body alike. 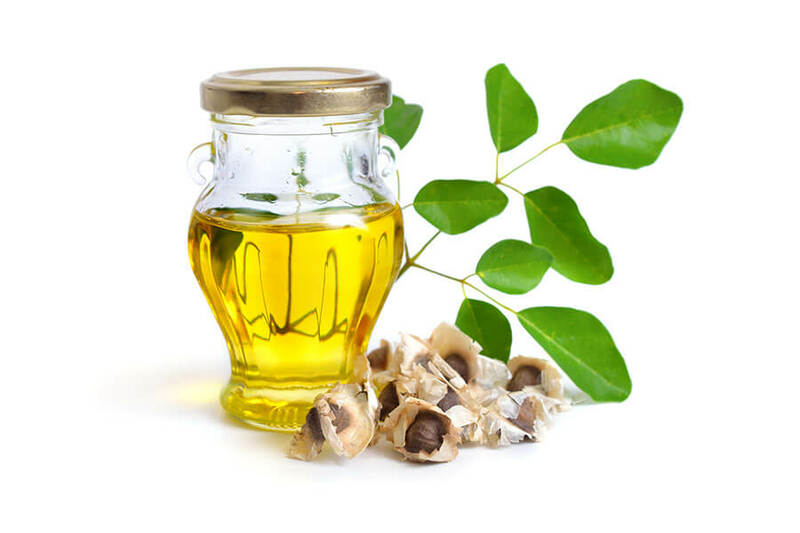 Increasingly popular in the latest skin treatments, moringa oil is an exotic, highly sought-after ingredient thanks to its many rejuvenating qualities and antioxidants. Containing 72% oleic acid, the oil quickly penetrates skin deeply, delivering nutrients that naturally cleanse, combat signs of ageing, moisturise, and heal minor skin problems. Long used in Asia and Africa, it’s the secret to radiant skin that’s now available across the world. 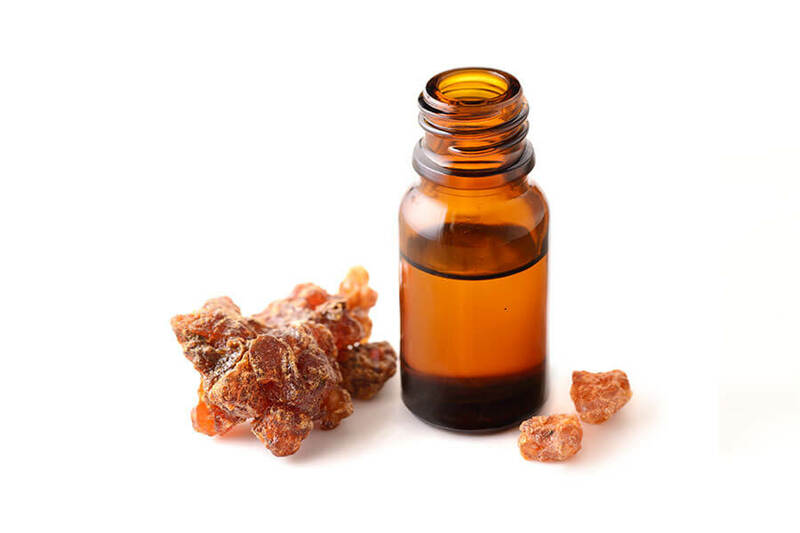 A popular scent used for centuries in the healing and protection of wounds, the banishment of blemishes, and the nurturing of clean, moisturised and supple skin, myrrh strengthens and smooths, all while promoting rest and relaxation. 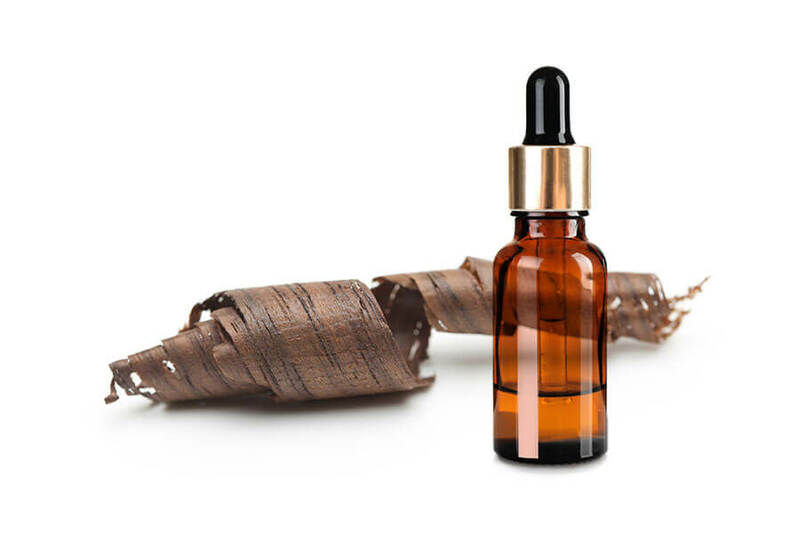 Long known to contain antimicrobial, anti-inflammatory and many other medically beneficial properties, this desert tree extract is a time-honoured botanical remedy for the whole body. 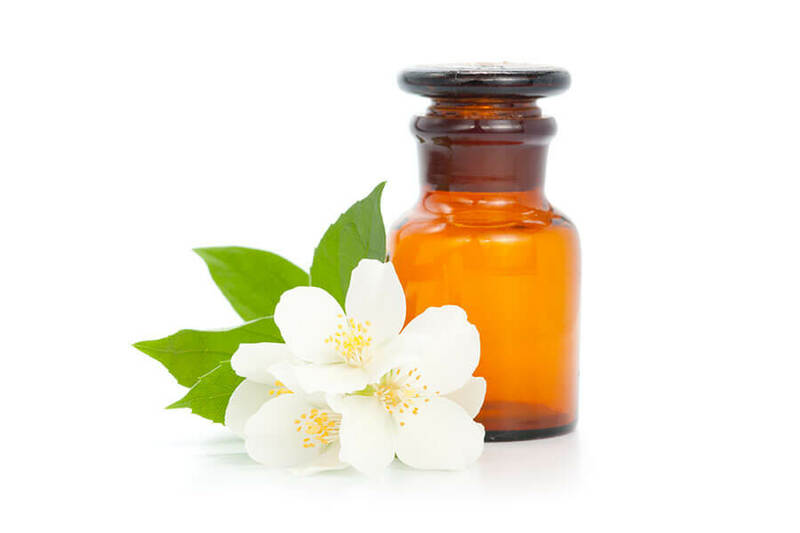 With a floral, bittersweet scent, neroli has the incredible potential to regenerate skin from scar tissue – right at the cellular level. As a result, it’s an ideal anti-ageing ingredient; naturally antibacterial, antiseptic and anti-inflammatory, it revives and maintains moisture, elasticity and oil levels, just as it can help relieve stress, calming both body and mind. 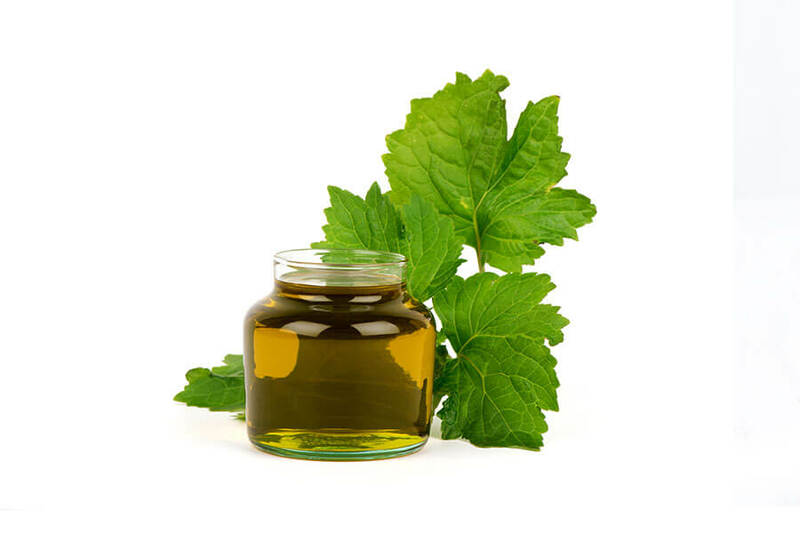 Extracted from dried, fermented leaves, patchouli oil has long been a remedy for mind and body – reducing scars and regenerating tissue, smoothing wrinkles and fading blemishes, it even acts as a diuretic to help clear cellulite. Moisturising and fighting the signs of ageing, its sweet yet spicy aroma adds to the sense of balance it brings to the skin. 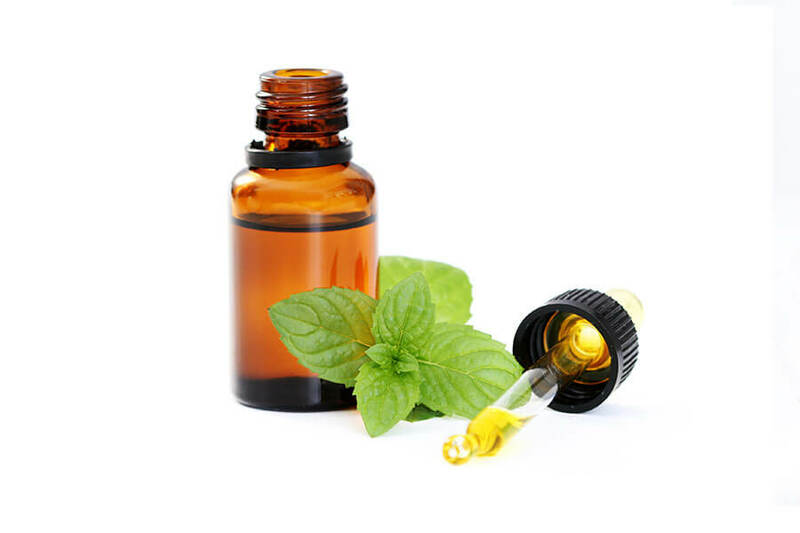 The familiar menthol scent of peppermint carries a world of benefits for the skin. Soothing, softening and toning, its anti-inflammatory, hydrating properties can relieve (and even help prevent) sunburn, control oiliness and enliven tired skin. Extracted from a spearmint and watermint hybrid, it delivers benefits beyond the skin too – relieving aches and pains, stresses and strains, leaving you calm, refreshed and revitalised. 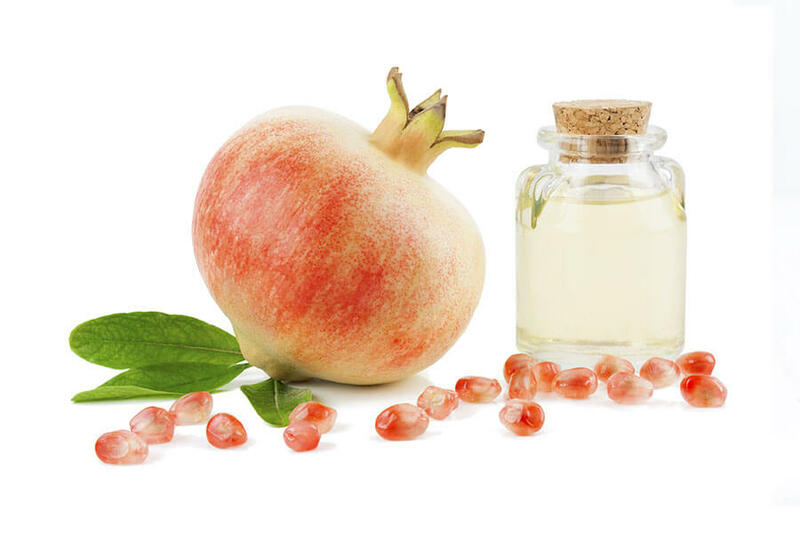 By stimulating keratinocytes in the skin, pomegranate oil actively reverses damage, revives skin and combats signs of ageing. Containing an Omega 5 fatty acid, punicic acid, it fends off free radicals while acting as an anti-inflammatory and protecting against sun damage. 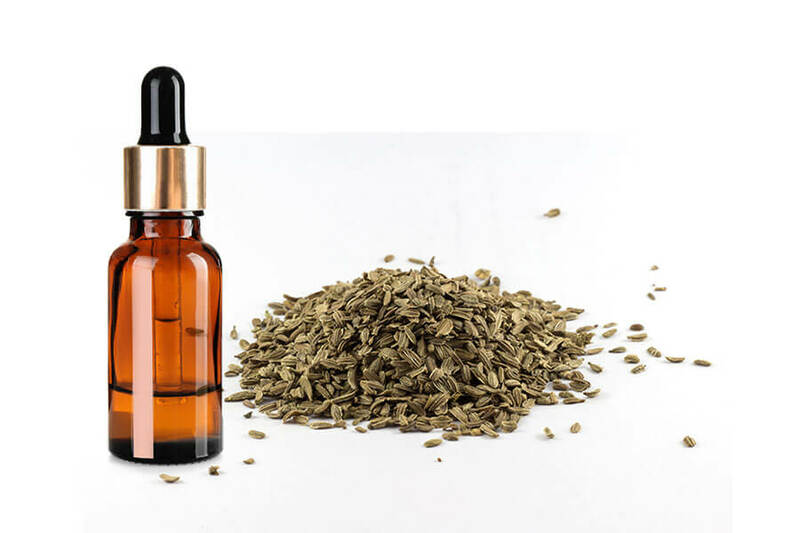 It also helps with problems such as eczema or psoriasis as well as with sports therapy – healing wounds, calming irritation and channelling nutrients directly into the skin. Traditionally used for thousands of years to nourish dry or mature skin for smoothness and suppleness, otto of rose’s natural benefits are rooted in scientifically proven compounds. 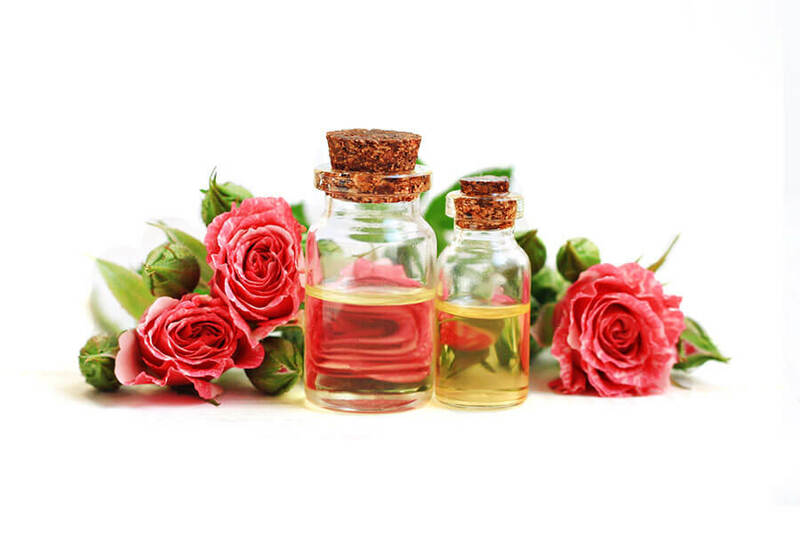 Rich in antioxidants, with antibacterial properties and powerful moisturising potential, it is carefully extracted from the rose plant to form a condensed and pure oil – the very best essence of rose available. Carefully extracted from the rainforests of the Amazon basin, rosewood oil brings balance to both dry and oily skin – leaving it refreshed, softened and toned. 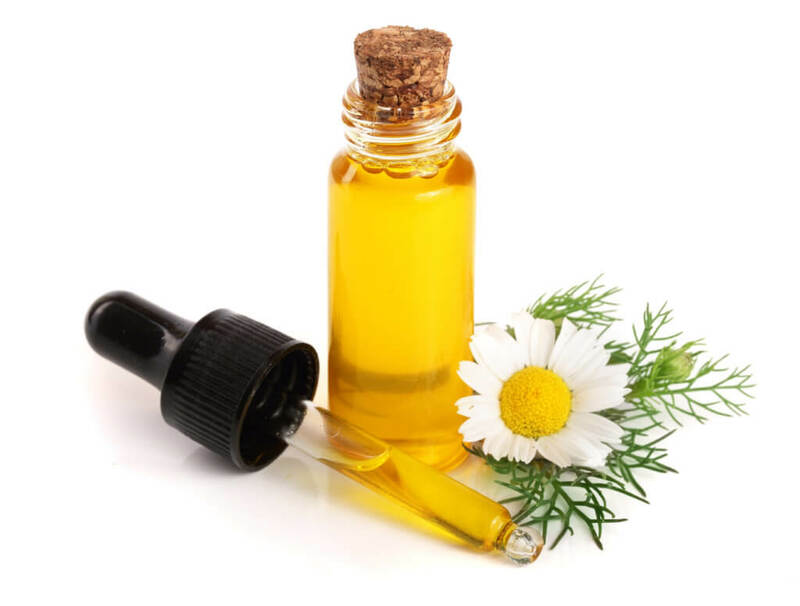 By promoting the regeneration and repair of skin cells, it can also help reduce the appearance of scars, blemishes and ageing – and, even more amazingly, research has shown that healing components within the oil can actively help to control and treat skin cancer. 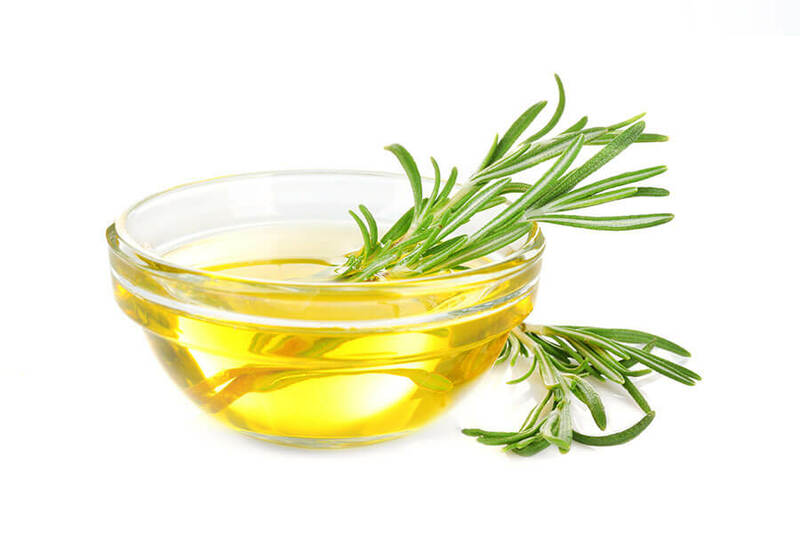 Approved by the German Commission E scientific advisory board, rosemary oil is a hugely beneficial ingredient both for the skin and beneath it. As well as toning and moisturising, it promotes circulation and flushes out toxins, removes stretch marks and evens the complexion, relieves muscle pain and arthritis – and can even boost mental activity. 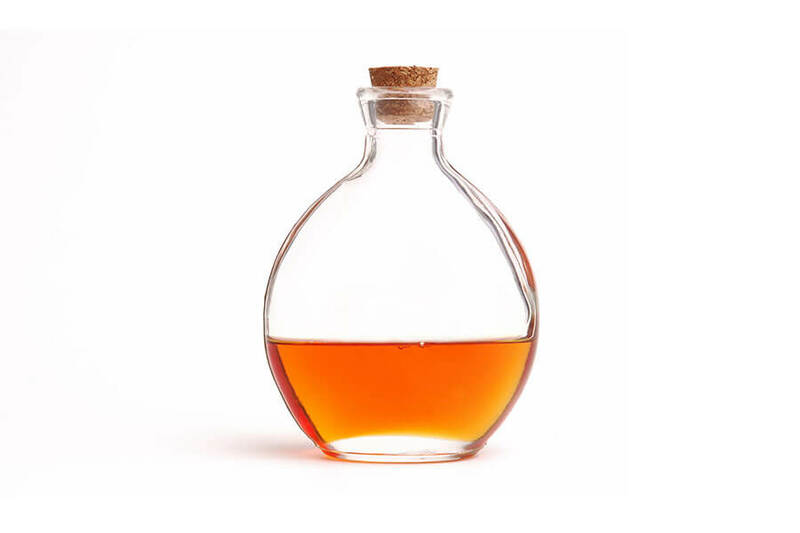 A popular oil with a world of benefits for healthy bodies. 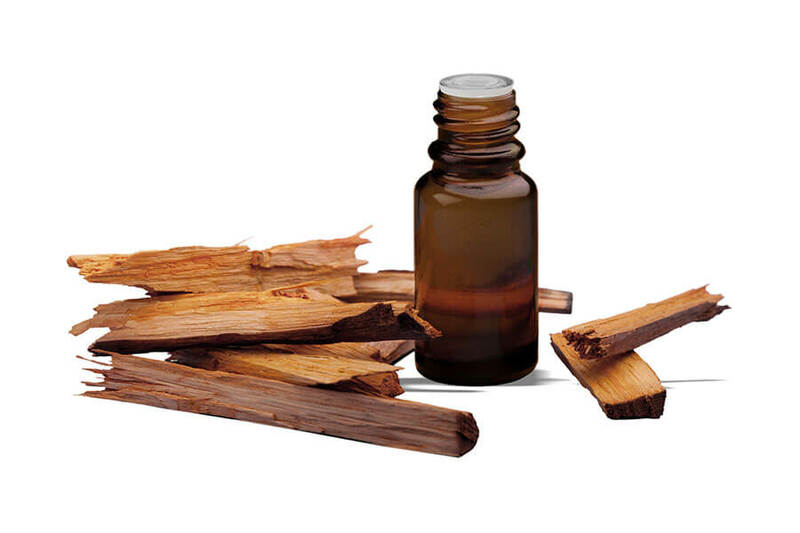 The sweet, smoky scent of Australian sandalwood is a good indicator of its uplifting, reinvigorating qualities. As a mild astringent, it tightens, smooths and soothes skin, just as its antiviral properties cleanse and prevent common infections, and its active ingredient, santalol, reduces inflammation. Rich in antioxidants, it also fights the free radicals that promote ageing, and can also benefit the hair as an effective treatment for dandruff. A famed superfood for the skin derived from the African shea tree, shea butter is naturally rich in vitamins A, E and F. Known as an effective moisturiser and skin smoother, its concentration of cinnamic acid delivers powerful anti-inflammatory action, salving and soothing the skin, nourishing it to prevent dryness, strengthening it from within, and even protecting against the harsh rays of the sun. As far back as ancient Egypt, almonds have been icons of health and beauty. This oil, cold-pressed from kernels, is an exceptional moisturiser, rich in vitamins A and E, monounsaturated fatty acids, proteins, potassium and zinc, which makes it a nourishing remedy for relieving dark circles, promoting smooth, supple skin, and soothing aching muscles. Also containing B-complex vitamins and iron, it can even strengthen nails just as it cleanses deep within pores and helps reduce the signs of ageing. 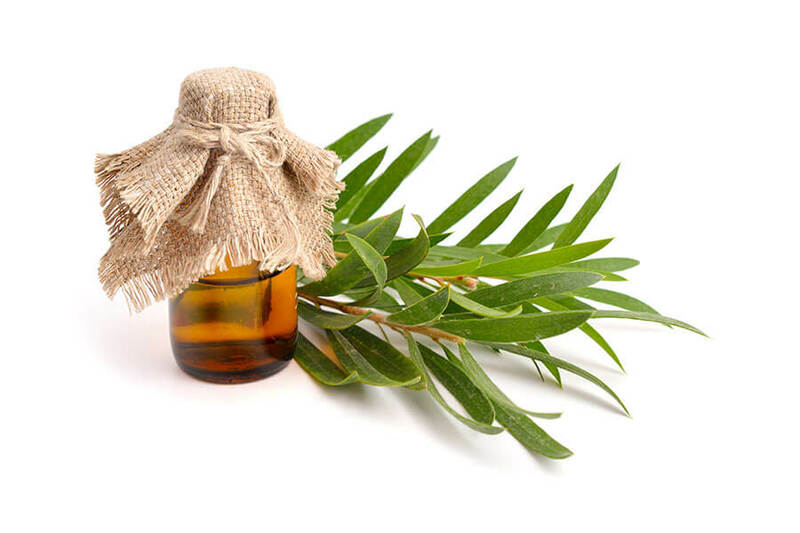 Renowned for its practically endless uses, tea tree oil is a powerful remedy indigenous to Australia, that penetrates the skin and unblocks sebaceous glands. Long known to fight acne and irritation, it’s an active ingredient in many products that dry out blemishes and disinfect pores, all while removing dead skin cells, soothing itching and clarifying skin through its proven antibacterial, antifungal and anti-inflammatory qualities. 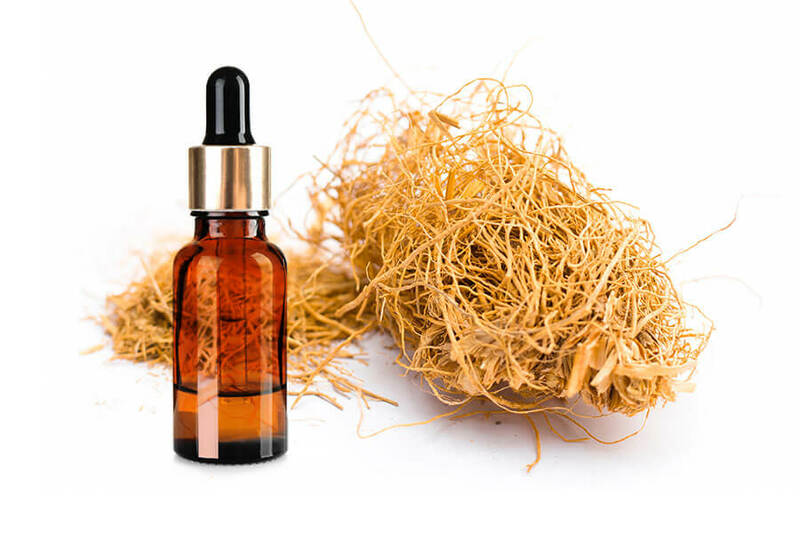 Derived from a grass native to the South of India, a relative of lemongrass, vetiver oil is a cicatrisant – meaning a substance with the power to heal scars, regenerate skin and rejuvenate tissue. Able to reduce dark spots and create a youthful, smooth and radiant look, it’s a naturally antiseptic, anti-ageing staple, commonly used to treat scarring, stretch marks and similar conditions. E is for elasticity. Specifically, vitamin E strengthens capillary walls while improving moisture, giving skin a healthy, youthful appearance. It also reduces inflammation, complete with antioxidants that protect from signs of ageing, as well as damage from UV and pollution. 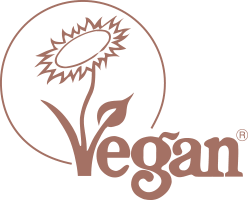 E is also for easy: our plant-based form of vitamin E is simpler for the body to absorb – ideal to help quickly strengthen, restore and nourish skin and hair. 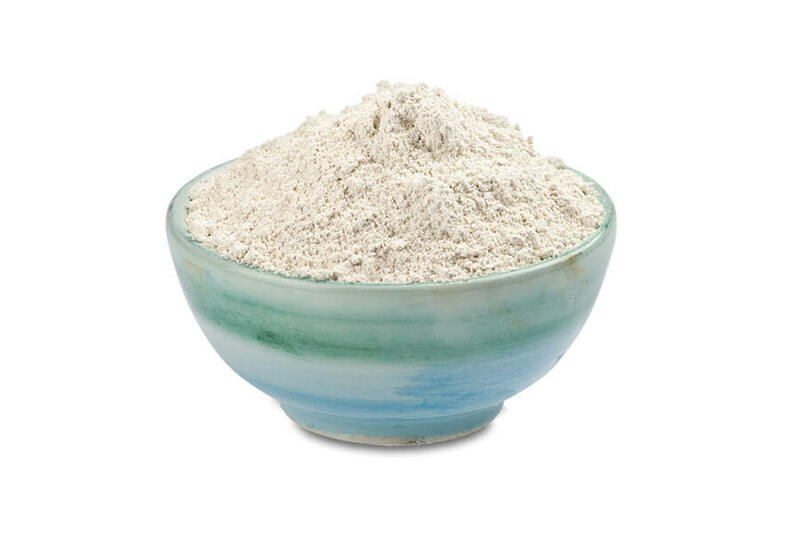 An ideal exfoliant mined from deep within the earth, white clay’s use as a gentle cleanser dates back to around 1700, paying testament to its effectiveness. By gently pulling impurities from pores and absorbing excess oils, used as a paste this clay tightens the skin over time, for a more supple, youthful and radiant appearance. Steam-distilled from fragrant flowers, this oil is characterised by delicately balanced moisturising qualities that lend skin a smoother, younger, refreshed look. 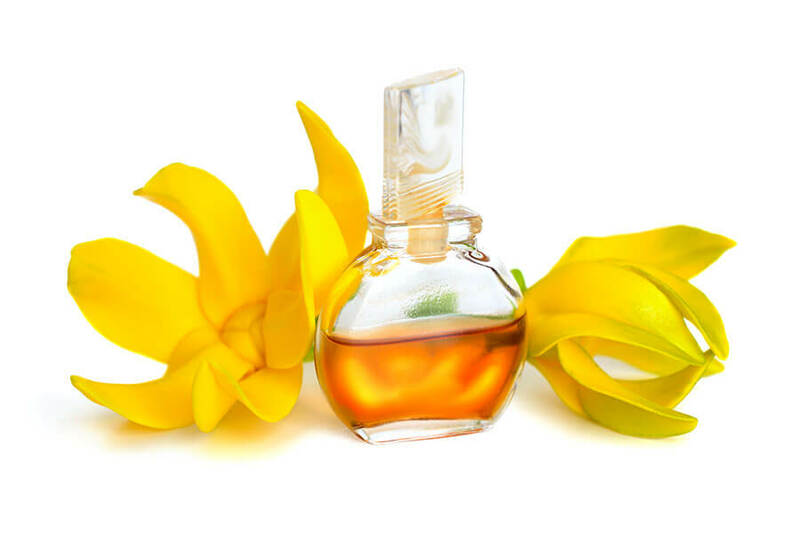 Regulating oil production while soothing irritation and inflammation, ylang ylang is an aid to relaxation and wellbeing – promoting circulation and regeneration while maintaining hydration levels and preventing infection for healthy, glowing and vibrant skin and hair. 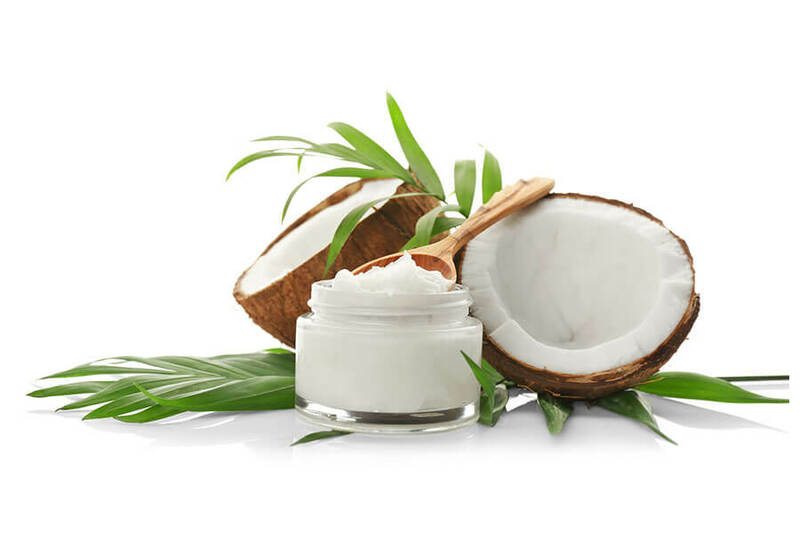 The benefits of coconut oil bound within a butter, this ingredient is, very simply, an amazing moisturiser, reducing dryness and hydrating skin without upsetting the body’s natural balance. Adding a soft, velvety texture to any treatment, it gently melts into the skin, nourishing, smoothing and protecting it – even from the harsh rays of the sun. 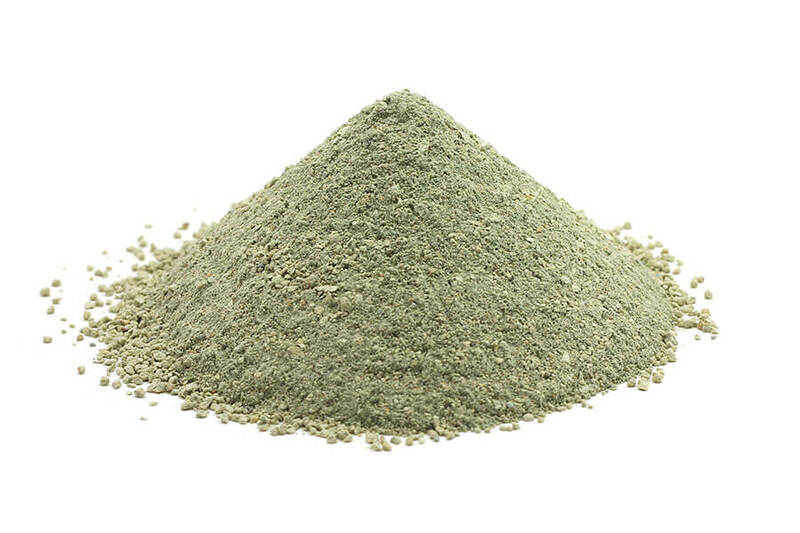 Naturally green thanks to the presence of plant matter, as well as minerals including calcium, magnesium, zinc and copper, green clay is a powerful toner and detoxifier. Helping to draw out excess sebum to reveal clear, healthy skin, it works hard to remove the impurities within pores – even at the molecular level. Its negatively charged ions attract and neutralise positively charged ions within toxins, as it binds impurities and removes dead skin cells, tightening and shrinking pores to leave skin soft, supple and cleansed. 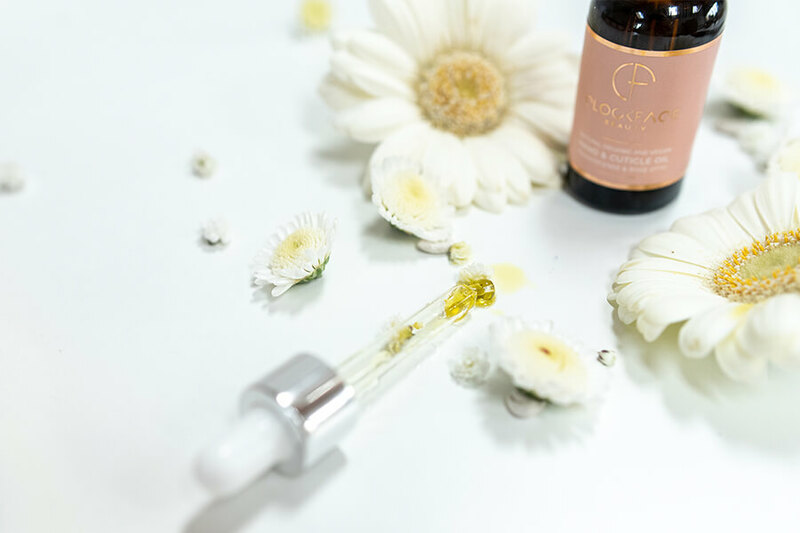 Imbued with the unmistakable scent of chamomile, this timeless English oil imparts a relaxing fragrance to relieve stress and tension, bringing balance to emotions and comfort to both mind and body. A gentle, calming and cooling oil, its proven ability to alleviate tired bodies and soothe muscles makes it essential for enjoying a little ‘me time’. 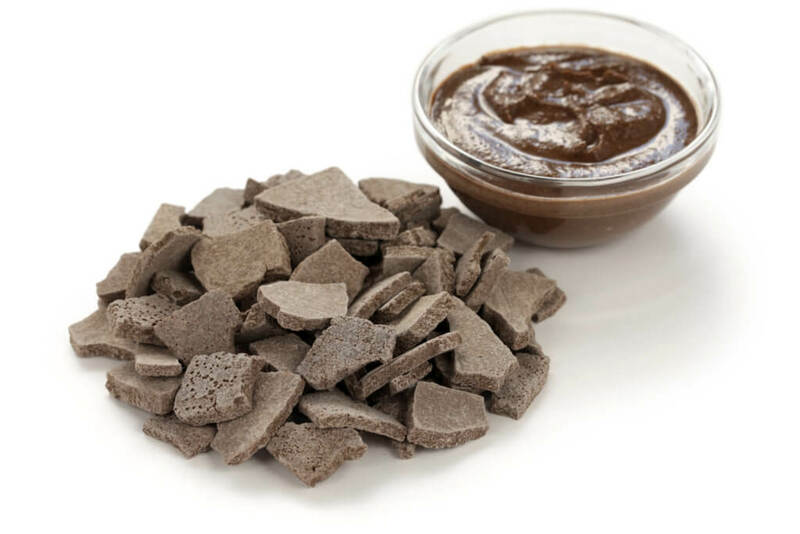 Mined from one source deep within the Atlas Mountains of Morocco, rhassoul clay has been a staple of the region’s culture since the 8th century. It’s easy to see why. The silky-smooth clay effortlessly draws out impurities and promotes more even, hydrated skin tone, while reducing blemishes and irritation. And it’s just as effective for hair as skin, making it an excellent all-round treatment. 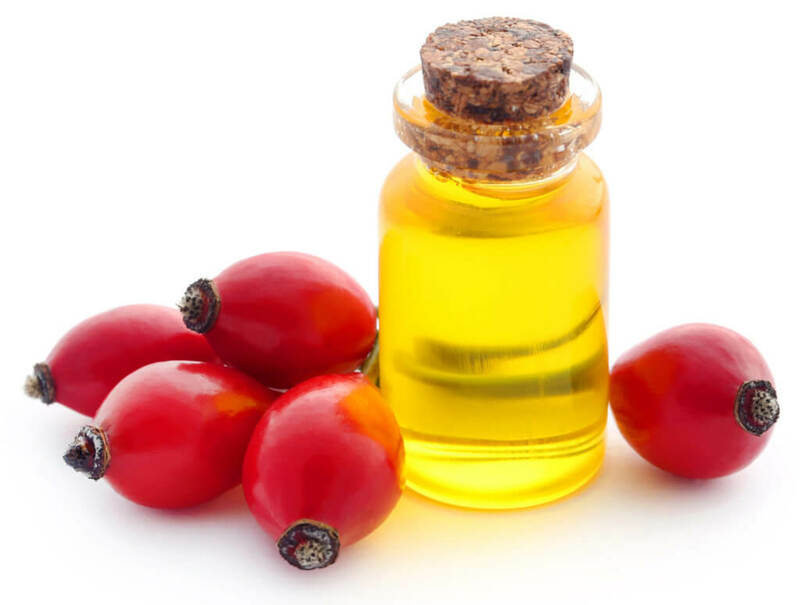 Rich in essential vitamins and fatty acids, rosehip oil has been trusted to cleanse, purify, soothe and hydrate tired skin for millennia. Used by ancient civilisations from Egypt to the Mayans and early Native Americans, its enduring popularity is perhaps down to its fast-absorbing, residue-free qualities that encourage radiant, youthful skin all over the body. 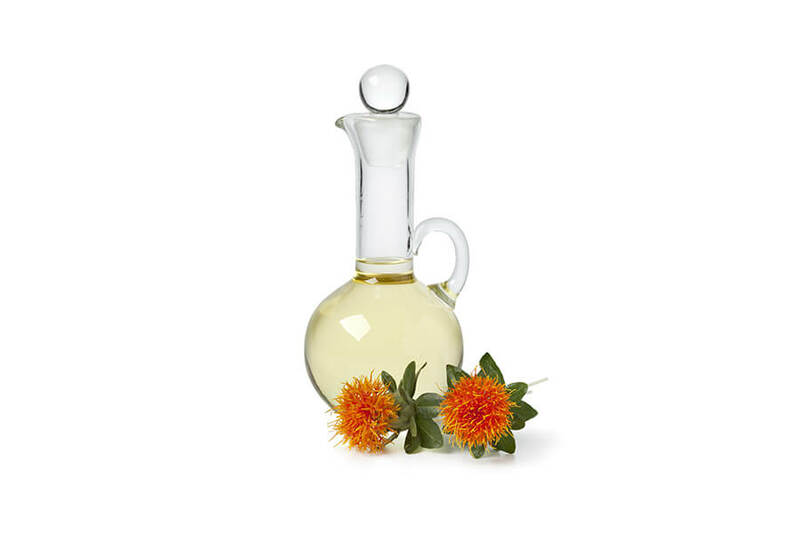 A wonderfully versatile ingredient, packed with antioxidants and vitamin E, safflower oil is a well-known skin smoother and soother. 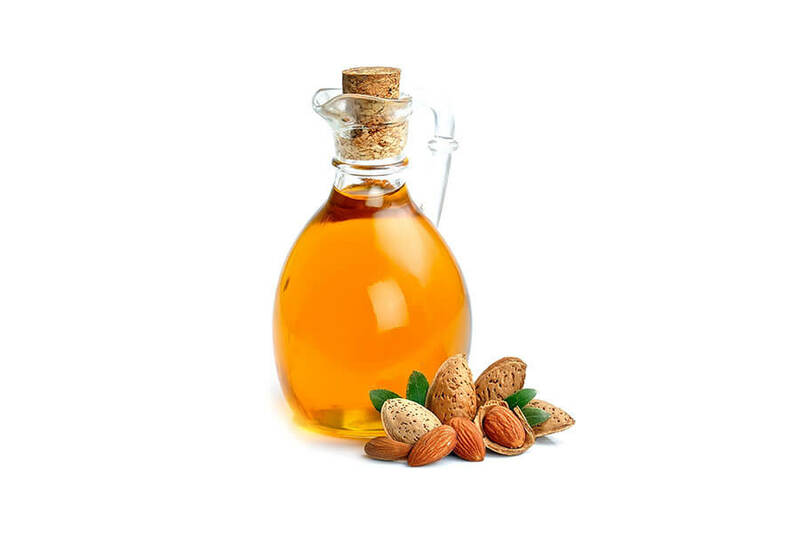 With a high percentage of unsaturated fats and linoleic acid, it’s great for relieving irritation and skin conditions like acne, while naturally hydrating skin for a more healthy, glowing look and feel. 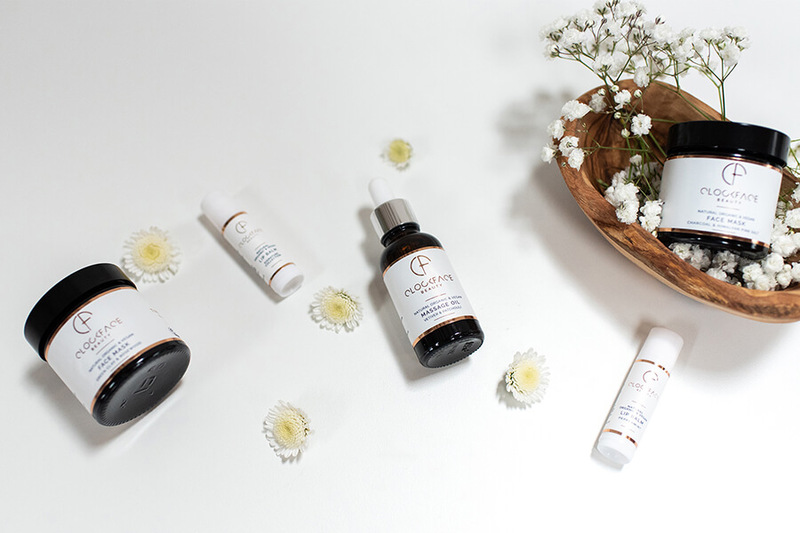 Sustainably sourced from the Amazon, carefully harvested and cold-pressed, cacay oil is incredibly rich in vitamins and nutrients, including vitamin A, vitamin E and essential fatty acids. Nourishing skin deep down, its moisturising and rejuvenating qualities help to reduce the signs of ageing, and add shine to skin and hair alike. 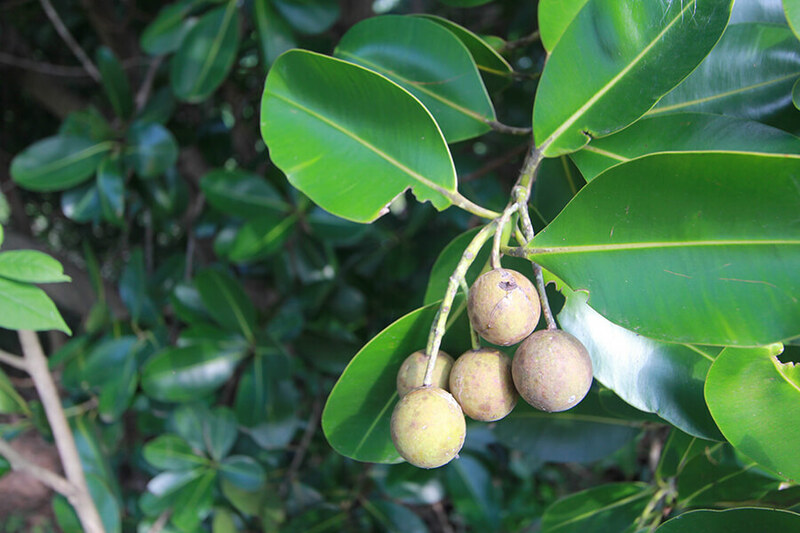 Cold-pressed from the nuts of a tropical evergreen tree, tamanu oil has long been used across Southeast Asia and Polynesia thanks to its natural anti-inflammatory properties. Containing beneficial levels of antioxidants and vitamin E, it can aid the healing of scars and blemishes, relieve irritation and alleviate the symptoms of many skin conditions – all while moisturising and soothing skin. 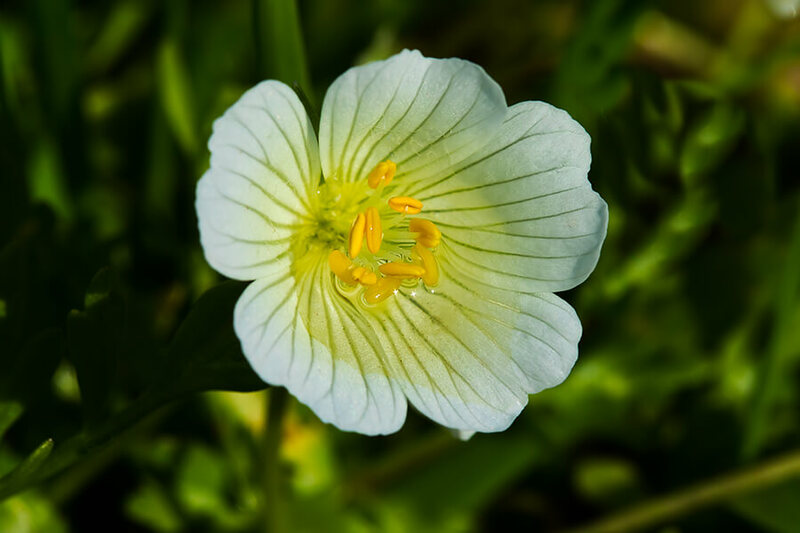 Light, non-greasy and rapidly absorbed, meadowfoam oil is renowned as a highly stable carrier oil – its fatty acids help extend the life of other oils, while it forms an effective barrier to lock their moisturising, nourishing benefits into the skin. Cold-pressed from a sustainable flower, it’s just as kind to the environment too. Used primarily as a remedy for dry skin, vegetable glycerine is an effective moisturiser that helps maintain water balance while gradually improving skin’s softness, suppleness and smoothness. It’s also a natural healer and protector – soothing irritation, fighting infection and forming a barrier against the elements, to leave skin looking and feeling radiantly healthy. 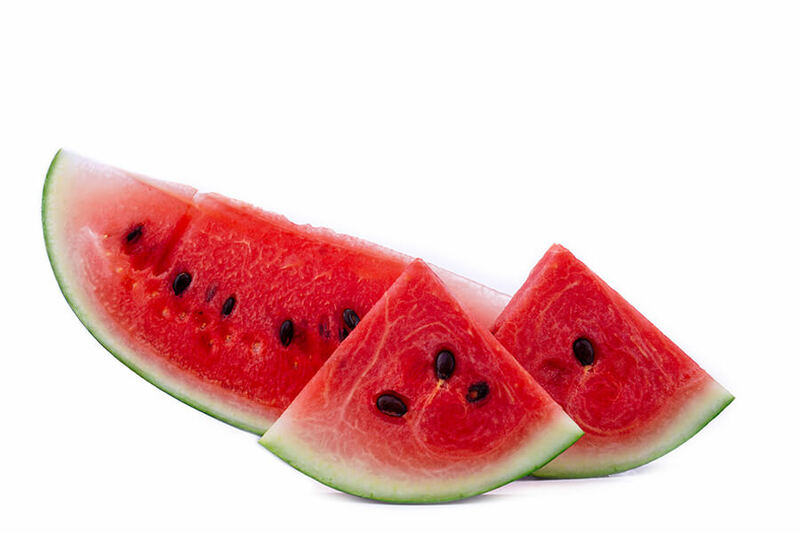 Rich in antioxidants, such as beta-carotene, and linoleic acid, watermelon oil is quickly absorbed with powerful benefits for healing and repair. It’s ideal for combatting signs of premature ageing, with natural, deep-down restorative properties, while also bringing balance to oily skin by dissolving excess sebum and nourishing from within.